Volquartsen's SureStrike Firing Pin is designed to minimize and/or eliminate light hits on the Ruger MKI, MKII and MKIII (including 22/45) pistol. The SureStrike Firing Pin is precision EDM machined from A2 tool steel. The impact section of the firing pin is then surface ground to create the optimal �SureStrike� each and every time! This new firing pin is also .004" wider than the factory firing pin to help eliminate side to side movement in the factory bolt. 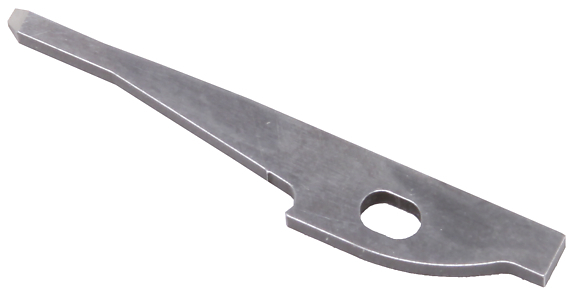 Hardened to a Rc 56-58 to prevent any excessive wear and deformation that can be found on the factory firing pin. The hardening process on the A2 material allows for a much deeper hardening when compared to conventional case hardening. NO MORE FTF(failure to fire)!! This part is worth the price as it eliminated all of my FTF issues in my Mark 3.